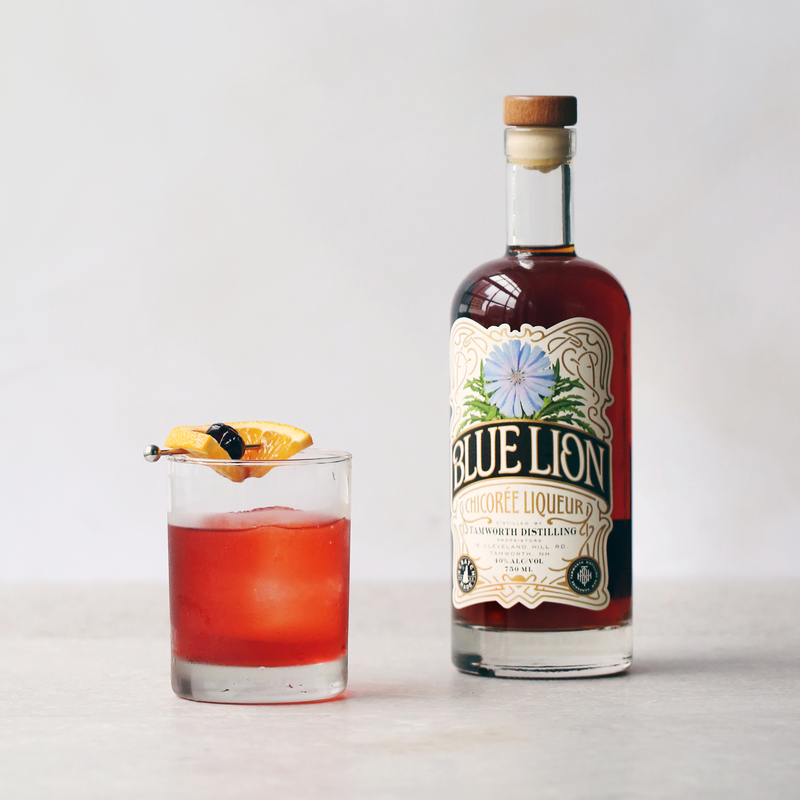 Named for the plant’s distinctive blue dandelion-like flower, and inspired by its history of use in coffee and other beverages, Blue Lion is a different kind of bitter spirit sure to appeal to fans of amari. 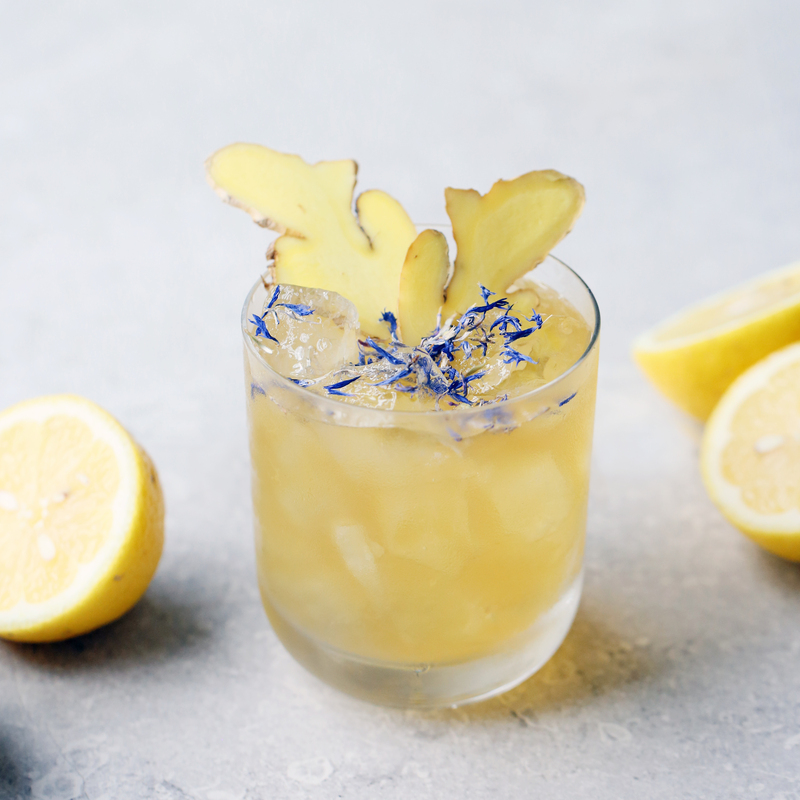 This liqueur combines the “dark roast” notes of roasted chicory root with rye seeds, cinnamon, dandelion root, and cane sugar for a bittersweet, spicy flavor. 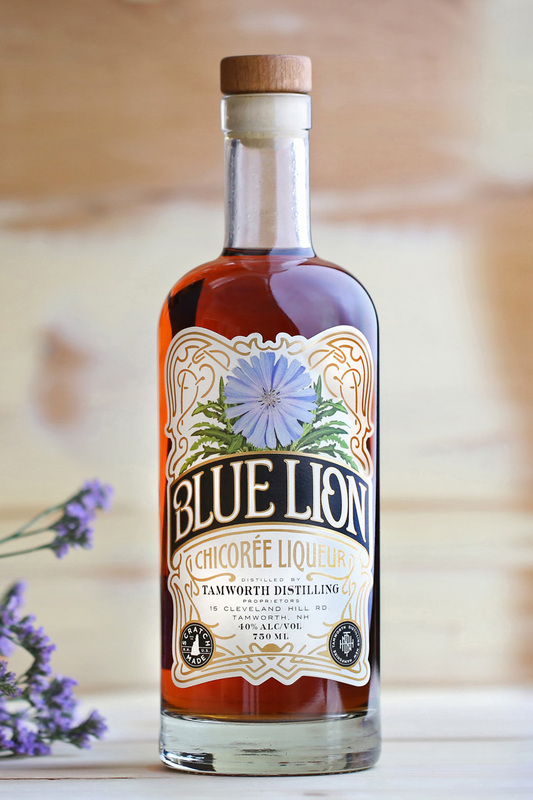 Blue Lion pairs naturally with coffee, as well as brown spirits like rye whiskey. Pour 2 oz Blue Lion over ice. Top with fresh lemonade. Garnish with ginger slice.